Due amount of content in Skyrim Tips and Hints growing we'll have to seperate specific detailed guides to their own posts. After getting out of the caves where the Dragon chased you to from Helgen, escaping the execution at the very beginning of the game, your first goal should be to reach Riverwood. Riverwood is a small settlement North from Helgen with about ten houses sitting next to a river. This is your first place to stop at if you decide to follow the Main Quest right after starting sequence of the game (first 20-30minutes). You can find first available companions here (Sven, Faendal). There is a shop called Riverwood Trader to do some bartering around, it has some low level spells. It's related to Quest called "The Golden Claw", which takes place in Bleak Falls Barrow. Riverwood also has an anvil and alchemy lab for you to use after you ask permission to. There's a store Riverwood Trader just right side of the road when you enter from main gate, second house to be correct. It's got some decent items and low level spells. At this point it would be wise to find Sven (Sleeping Giant Inn or walking down main road), and do his quest or optionally rat him out to Faendal and then talk to either one again, to get one of them as your companion to Bleak Falls Barrow. Find Alvor (Hadvar's Uncle) and talk to him about Dragon attack on Helgen. He can be found at "Alvor and Sigrid's house" next to main street on left side from the entrance gates. Alvor will send you to Whiterun, to talk the Jarl of Whiterun about the Dragon attack. Get the Quest from Lucan Valerius. He is located in "Riverwood Trader" on main street second house on right from the entrance gates. He will send you to ruins nearby called Break Falls Barrow to retrieve his Golden Claw (to the mountains west of Riverwood). Continue towards to top 'till you came across a large stairway, which leads to the Bleak Falls Barrow. Here you'll meet a few more Bandits to take care of. Bleak Falls Barrow is respectably big cave with Skeevers, Bandits and Undead (Draugr, Restless Draugr and the end boss Draugr Overlord). 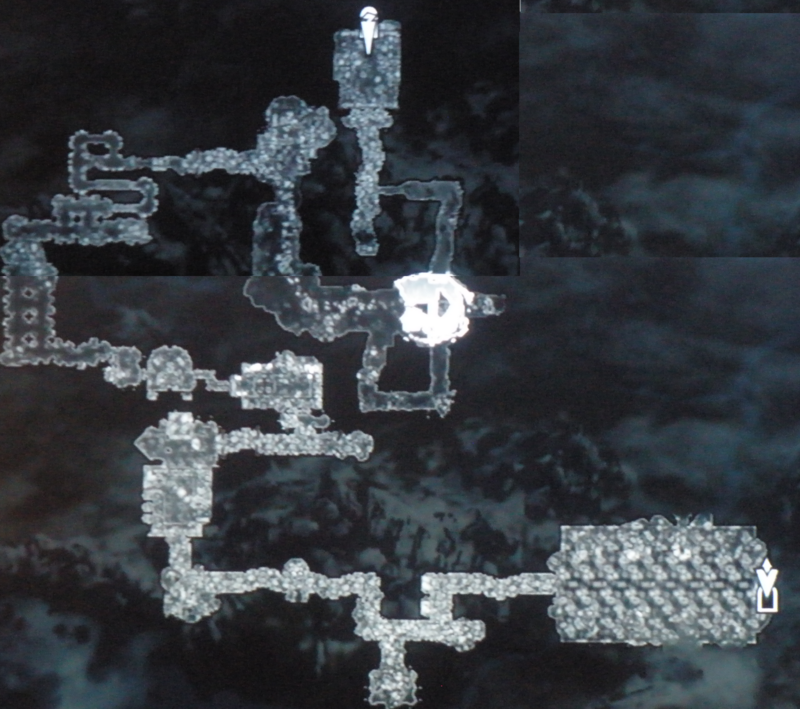 It combines fort like parts with caves and catacombs. It has 2 levels, Bleak Falls Temple and Bleak Falls Sanctum. The route through it very straight forward with no crossroads and it has a few puzzles. You'll find your first dragon shout here if you go all the way untill the last room. Enter the ruins, this level consists of Bandits and Skeevers untill you get past the door opened by Golden Claw where it turns harder and you'll meet some Undead. Advance untill you come to a room with three weird symbol statues on left side of the room and a locked gate that won't open with a pull switch, but instead releases a arrow trap. Now look in the very upper side of the room right above the gate. You'll see that there are also three symbol statues like on left side of room. One of those has broken down and fell on the floor. Figure out what's the symbol that broken down statue holds and memorize it with the other two, then go to the left side of the room and switch three symbols on the left to match the order of the ones located above the gate (correct order snake-snake-whale) - pull gate switch - it should open. Advance untill you find a giant spider, kill it (easy with arrows from outside the room, spider won't follow there) and you see a thief called Arvel trapped in spiders web. He knows about the Claw and asks you to cut him down in exchange of telling about it. Arvel will flee, kill him and notice he has Golden Claw, take it. At this point you can return to Lucan and complete quest if you wish. Optional: Also complete the last part of the quest. Loot and read Arvel's Journal for a tip how to use the Claw: "When you have the Golden Claw, the solution is in the palm of your hands" - go to your inventory screen and find the claw. View the Claw and zoom to it's "palm", there are three symbols: bear, butterfly and owl. There's a nasty trapdoor near the place where you kill Arvel and see your first undead. It can kill you with one hit and send you way back if you didn't save at some point, so watch out the following trap and make a save! You can get around the trap by walking around it from right side of "pillar". Behind this door is few crypts with Draugr of which one contains Restless Draugr. It's quite much harder one so you might want to lure it walking into the trap door. Advance deeper to the ruins and you'll reach a big heavy door with these three symbols same than in the Claw. You can change the order of symbols on the door. Change them to match the very same order from top to down, than how they are in the palm of Golden Claw. Use Claw to open the door. Proceed. Proceed through from the "fort" part to the Catacombs, here will be several of Draugr. Kill them and move to onward untill you come to room with a bridge and small creek, which is what you've to follow. See the wall on right where the Creek runs, there's a small gate with handle next to it. Pull the handle to open the gate. Proceed all the way down the caves which leads to a "fort-like" part again. Proceed 'till you hit a three archways leading to single room with a door leading to Level 2 - Bleak Falls Sanctum - that's where you need to go. This toom also has a Restless Draugr guarding it. You can lure it to the Sanctum and run untill you get past the first "swinging axes" trap, then wait on the other side for Restless Draugr to come untill trap hits it. Beware though because there are also regular Draugr in this room if you choose to do so. Proceed untill last room: it's a large cave like chamber with few coffins and sort of rocky wall with shining letters when you walk up the stairway - walk to it and read the letters. This will complete last part of the quest The Golden Claw (step: Find the Secret of Bleak Falls Barrow). This makes you also learn your first Dragon Shout called "Unrelenting Force". You can now flee the cave by pushing deeper 'till the exit, or you can fight. One of the coffins opens up from where raises Draugr Overlord and he is quite tough to fight. I'd suggest spells and loads of healing potions as he's quite hard on close combat. Perhaps the new shout can also be used to advantage, good luck! Finishing him will grant you to seek the room for some money and enchanted items, remember to loot The Overlord as he also holds a "tablet" that'll be useful later stage of the game! Following the cave deeper from here leads you out of it. Return Lucan Valerius to Riverwood Trader and return the Claw for some money. Talk to Sven: He can be found either walking down the street or at Sleeping Giant Inn last house on right down the road.Sven is in love with Camilla and has competition about her with elf called Faendal. He will ask you to deliver Camilla a "fake letter from Faendal" that will make her lose interest for Faendal. You can either deliver the letter to Camilla (who's inside Riverwoord Trader) or tell Faendal about the Sven's plans. Delivering a letter to Camilla will make her hate Faendal. Return to Sven to get your reward of 25 Gold. After this Sven will be available for companion, thus making him joinable character. He is Nord mainly good on melee. Ratting Sven's plan out to Faendal will make him joinable character to your party instead of Sven. Faendal is an Bosmer Archer and can train Archery also. You click and drag on the object...I think. I own the ps3 version. great guide! thx so much! Glad if you enjoyed this little piece of Guide. I'll most likely release some book locations to crank up your skills later this week, with exact location, not just town name. Nice guide i really enjoyed it. It helped so much. THANKYOU!!!!!! You can't use a dragonshout yet... You can't see a dragon except unkillable alduin until you get the dragonstone from the dragur overlord and give it to farengar.